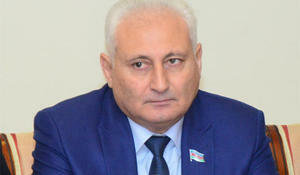 Armenia won’t succeed in its attempt to avoid negotiations on the settlement of the Armenia-Azerbaijan Nagorno-Karabakh conflict, because Azerbaijan will never allow it, Azerbaijani MP Hikmat Babaoglu told Trend. The anti-Azerbaijan centers have recently been trying to create a fuss over Azerbaijan again and for this purpose they want to use convicted Azerbaijani blogger Mehman Huseynov as a tool, Azerbaijani MP Hikmat Babaoglu told Trend. 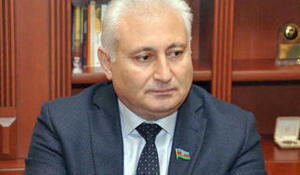 The order by Azerbaijani President Ilham Aliyev on providing one-time assistance to low-income families once again demonstrates that the well-being of the country's citizens is at the core of state policy in Azerbaijan, Azerbaijani MP, editor-in-chief of the newspaper Yeni Azerbaycan (New Azerbaijan) Hikmat Babaoglu said, Trend reported. The fact that anti-Iranian sanctions have not covered the Southern Gas Corridor (SGC) project is very important from the point of view of correct assessment of the existing geostrategic reality and the interests of Europe in energy security, Azerbaijani MP Hikmat Babaoglu told Trend Aug. 8.